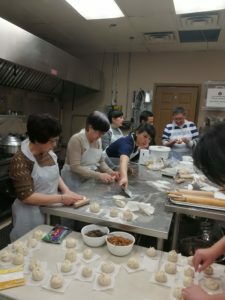 I had the privilege of teaching a dim sum class in early March, making siew mai, char siew bao, red bean and coconut bao. 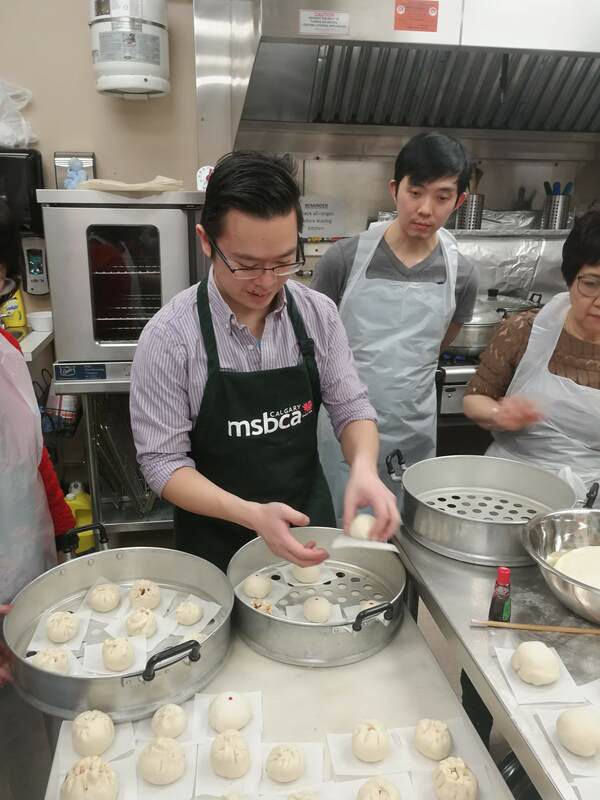 I taught the smooth char siew bao while Sandy taught the Hong Kong opened char siew bao. 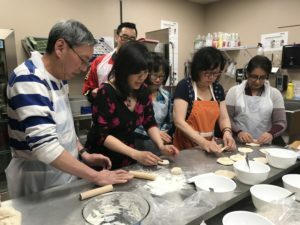 The kitchen was jam packed with 18 of us. I am not sure about the participants but I thoroughly enjoyed myself and had a blast! I grew up in a family owned bao store in Singapore situated at Bendemeer hawker centre. 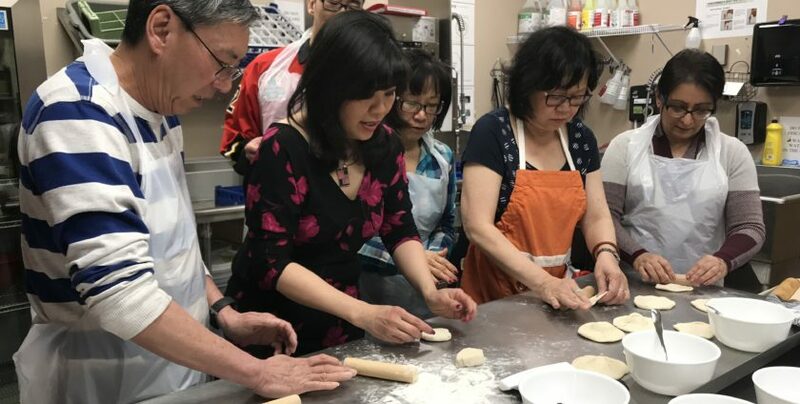 All of us had to help in the store as young as 8 years old and that was when I began learning how to make dim sum. Believe it or not, the store is still operating after 45 years. 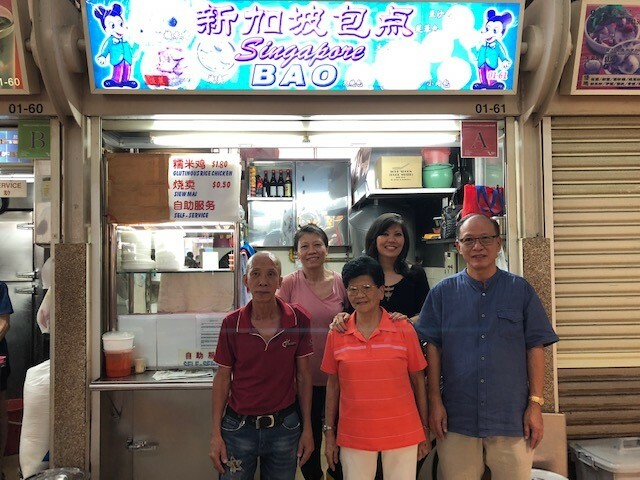 Here is the photo of my mom, brothers and sister taken in front of our store in 2018 at the Bendemeer Hawker Centre, Singapore. Growing up in Singapore and Malaysia, I enjoyed eating the various Chinese desserts. 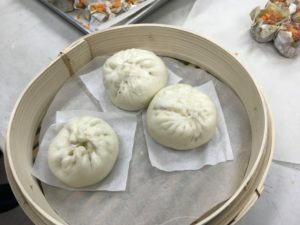 Among all, I enjoyed “kaya bao”, the most. 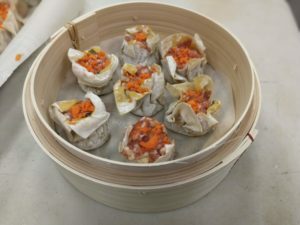 On March 2nd, Food Moments class taught me how easy it is to make them. 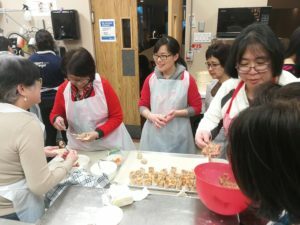 Thank you, Agnes and Sandy for your time and willingness to show us how. It was fun and I had a wonderful experience. I was inspired!